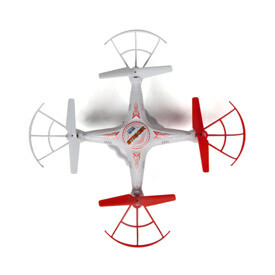 The Supernova Spy Drone by World Tech Toys is not going to blow you away with performance. It takes good video, does some flips, and should always be considered a toy. Its frame is made of foam, a couple of plastic guards and four plastic blades. It comes with extra propellers, in case you crash a little too hard. Just be careful not to break the frame. Ready to fly out of the box with a 150 minute battery charge. Most flights last between 5 to 7 minutes. 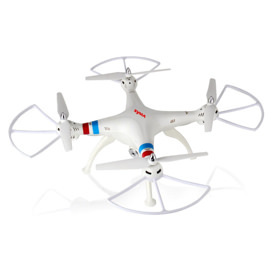 You’ll get a pretty stable flight out this quadcopter. Be careful on windy days, it’s so light that a strong gust can carry it away if you’re too high. The built-in camera takes 720p video, comes with a 2 gigabyte SD memory card and a reader. It’s not a bad camera and it’s fun to watch the videos of your flights. Honestly, the Supernova Spy Drone is not one of my favorite drones. It’s not even one of my favorite toy grade drones. 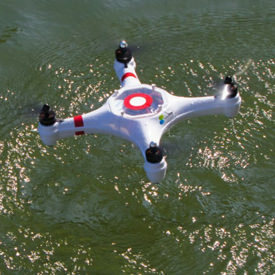 Aside from its 720p camera, this quad drone is far too expensive for what you get. The foam frame is super light and it feels like it won’t survive any kind of serious impact. The Supernova comes with four brushed motors that have a tendency to burn out when over used. These are used to keep the production costs down. 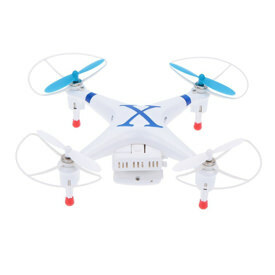 I have no problem with quadcopters using brushed motors, as long as it is easy to find replacements. It seems very difficult to find any replacement parts for this drone. There have been a few reports of the Supernova drone’s motors not working at all, straight out of the box. The battery takes about 150 minutes to reach a full charge. Then you will get somewhere around 6 minutes of continuous flight time. 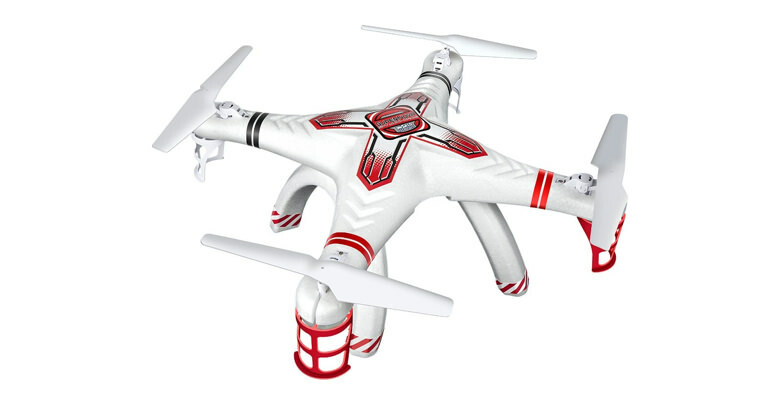 This is not a unique case for toy drones, but most don’t have such a high sticker price. 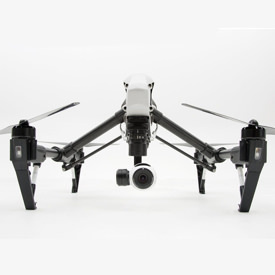 The gyro system gives you a very stable flight if there is no wind. However, because it’s so light, a good gust can make it much trickier to control. 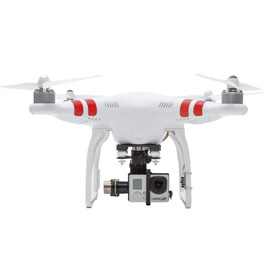 Combine that with a delicate frame and you have a formula for a busted drone. The gem of the Supernova Spy Drone is its 720p video camera and the fact that it comes with a 2 gigabyte SD memory card and a reader.